We have named our Signature Colonial Crepes in honor of the French heroes of the American Revolution (and other notable French contributors to the history of the time) without whom our newly declared independent nation may never have gained their liberty from the British. Crepes originate from Brittany, the rocky promontory of westernmost France that has a cultural identity and topography unique to itself. Not much grew on the harsh Breton moors until the buckwheat grain was introduced there in the 12th century. Buckwheat was first used by the Bretons to make a porridge. Legend has it that crepes came into being when a Breton woman accidentally dripped porridge she was making, out of that new grain, onto a hot flat iron cooktop. The result of that mistake was a crisp, thin pancake that turned out to be quite good…better than the porridge. The Bretons began making batter from ground buckwheat combined with water and a touch of salt. With a dab of butter on a hot iron over the fire, the batter was spread with a wooden scraper into a flat, round shape, then flipped, folded and filled with whatever was local and fresh. Although most tend to now use wheat flour, the methods used remain largely the same today. Crepes have a dedicated day on the French calendar. February 2 in France is known as Le Jour des Crêpes (‘The Day of Crêpes’). Also named La Chandeleur (‘the return of the light’), the date commemorates the winter’s decline and the coming light of the spring. It is a sort of French Ground Hog Day. As a familial custom, French families celebrate this day with a meal of crepes together. 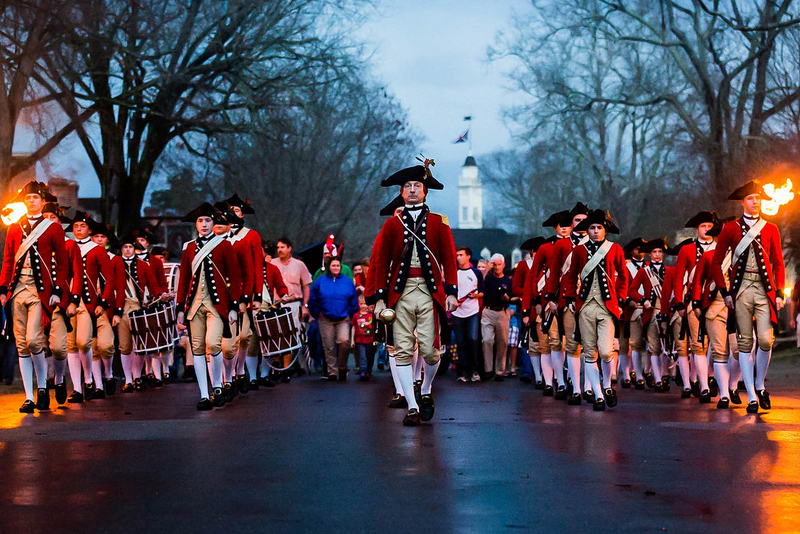 The French were the American colonists’ biggest supporters during the American Revolutionary War. 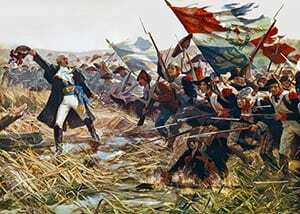 Some 10,000 French troops, as well as over 20,000 French sailors, fought at the Americans’ side against the British, including French officers such as General Lafayette and Admiral de Grasse. With these thousands of French military personnel came their beloved French skillet treat, the crepe. The smells and sights of thin French pancakes could be found around the campfires of multi-national soldier encampments during the American Revolution. 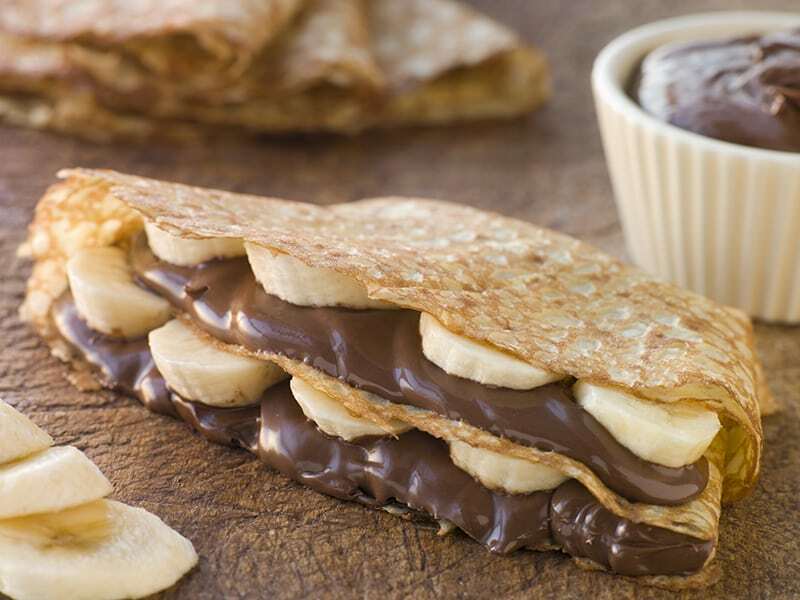 The Founder’s love of crepes continued after the war. For example, Thomas Jefferson sent a recipe for crepes that he obtained from his French chef, Etienne Lemaire, home to Monticello while serving as President in Washington, D.C.. Benjamin Franklin, who served as an American Minister to France, was another Founder who had a hunkering for crepes. Brooker’s Founding Flavors Colonial Crepes adds a sweet creperie to your Revolutionary era America dessert experience. Enjoy the Marquis de Lafayette's favorite dessert!